Complete 30 written case studies, reviewed by an RPP from our Mentorship Program. These 30 case studies are applicable towards the RPP case study requirements. *After completion of the APP program, students must apply to the American Polarity Therapy Association (APTA) to receive the designation Associate Polarity Practitioner. Students will learn how to feel and palpate life energy by utilizing hands-on contacts, toning, breathing and gentle counseling techniques, to embody a full holistic health care system that can be used to empower other modalities as well. Discover the energetic map to the body and how to touch and relate in this style. 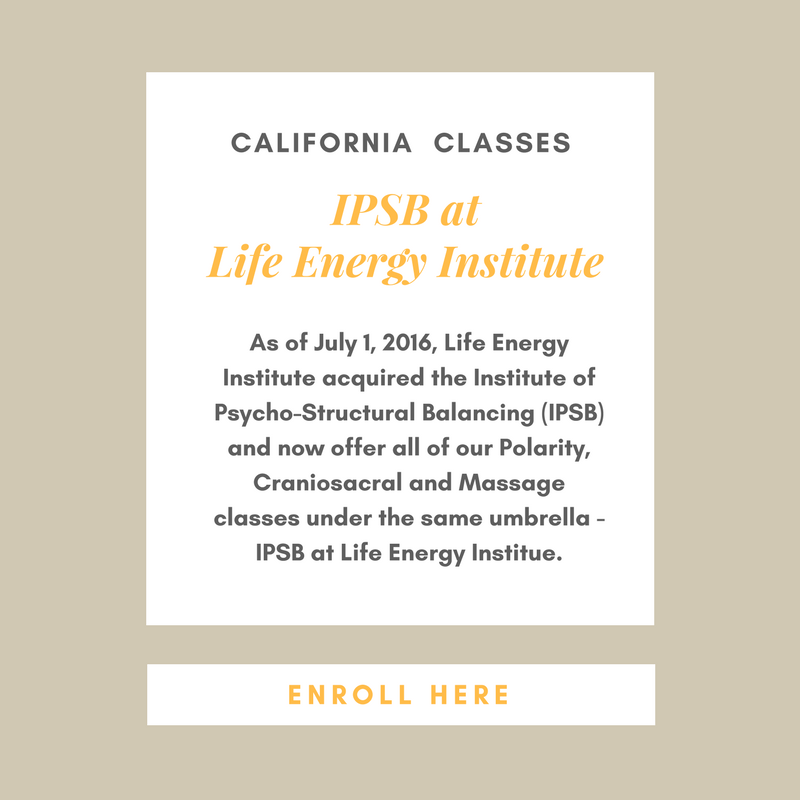 This class is the foundation for developing yourself as an energetic practitioner, learn the polarity paradigm basted on the work of Dr. Randolph Stone and truly have an experience of another worldly dimension. When we are truly well, our bodies vibrate vitality and our thoughts and emotions are in alignment with our soul’s truth. Polarity serves as the key to unlock the door to the source, thereby allowing for genuinely new choices. An in-depth exploration of Polarity energetics and the expression of life energy through the Five Elements–Ether, Air, Fire, Water, Earth. Learn bodywork sessions for balancing each element and basic Polarity exercises. Emphasis is on understanding the activity of elemental energies in our own lives so we can work with these energies in others. Weather permitting, students will be led on elemental excursions to experience and embody the elements in nature. Basic communications skills course of a hallmark series of courses in verbal skills for Body workers. 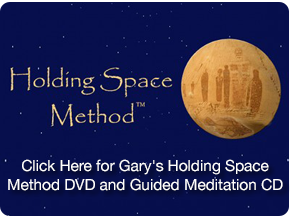 It combines energetic principles with techniques drawn from NLP, Gestalt, Bioenergetics and Ericksonian Trancework. Emphasis is placed on integrating verbal work with bodywork and on exploring the energetic meaning of physical postures, movements and responses. Learn verbal skills that will allow you to guide your client to resolution. This course, while not a substitute for psychological training, will teach you to pace your clients, follow their journey where it needs to go, and integrate body based healing with life healing. It is a profound accompaniment to all deep bodywork. This class helps students integrate their polarity skills to create balanced sessions, time management skills and appropriate boundaries. The class also helps prepare students to begins their practice. It focuses on integrating verbal and non-verbal techniques and helps the student learn to focus on the issue and to get to the point with each client they work with. The student also learns how to write up case studies using evaluative and management skills. In this final class of the program, students will have the opportunity to do an entire session on a client they do not know and to receive reflection and feedback from their instructors and peers. Each practitioner is encouraged to embrace personal strengths and to meet challenges that unfold during an actual session that is witnessed by others. Advanced training in Polarity Therapy represents an in depth exposure to the life energy based healing paradigms of Dr. Randolph Stone. Our Curriculum has been developed over the passed 30 years based on the life work of Dr. Randolph Stone and the Polarity Wellness Network. *After completion of the RPP program, students must apply to the American Polarity Therapy Association (APTA) to receive the designation Registered Polarity Practitioner. Complete 70 written case studies, reviewed by an RPP from our Mentorship Program. This class helps students gain a deeper relationship with the five elements. It explores the physical anatomy of Dr. Stone’s oval fields and looks at how the chakras shape and are shaped by our experiences. How behavior and culture impact those experiences and the psychological and spiritual implications of trauma and abuse are also discussed. Students learn to develop clinical applications of Polarity Therapy to assist clients facing specific physical conditions. This class provides an opportunity to work with clients under direct clinical supervision. The practitioner becomes empowered through self-reflection and peer/instructor feedback in the clinical setting. Students bring examples of specific case studies they have done that have been personally challenging. These examples are examined and reflected in such a way that helps students explore their personal process and practice, especially concerning transference and counter-transference issues. Supervision work is essential to keep the client/practitioner relationship clean, clear and healthy. Autonomic nervous system is the interface between mind and body. Advance your skills by learning techniques to release holding patterns in the spine, brachial plexus, perineum, and coccyx, while bringing balance to the parasympathetic/sympathetic nervous system. This class gives students a foundation in professional ethics and helps strengthen their business and boundary skills. The intention is to empower, prepare, and motivate students to become successful financially, emotionally, consciously and spiritually while honoring their work in life. As one makes the commitment to cleanse and the old debris falls away, our life energy becomes lighter and clearer. Cleansing can be an extremely insightful and inspirational process as it helps us create the space in our lives to become more vibrant and stronger. 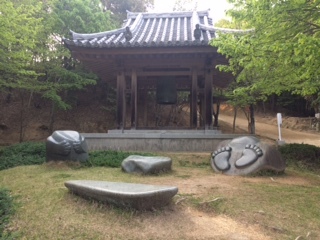 Using Dr. Stone’s Health Building techniques as our guideline, this class includes concepts of cleansing through a self-exploratory process. Students work at their own pace and learn to apply principles for spiritual, mental, emotional and physical rejuvenation. This workshop is for students to review and master the skills learned in Communication I. New ways of speaking directly to the cause of client’s distress will be explored. These will include pattern interruption, metaphors, and future pacing. Each student will receive direct coaching in evaluating their own patterns as communicators and having fun with the challenge of breaking those patterns. Students learn to recognize the elemental qualities of food. Students explore tools like food diaries to help them honor their clients’ relationships and patterns with food. This class integrates esoteric, energetic, traditional and scientific understanding of nutrition. It provides experience and awareness that help students guide their clients toward a balanced and holistic relationship with food. The 5-pointed star is an image of the body’s shaping process. It shows how we hold ourselves,how we experience life. 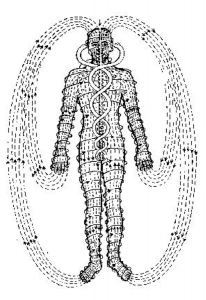 This class involves recognizing this image and learning techniques in bringing the system into balance. It also focuses on cleansing and fortifying the body’s energetic lymphatic system, understanding of anatomy and physiology, and using energetic lymphatic massage. Learn which herbs, essential oils, and food facilitate keeping the system clean and healthy. The 6-pointed star has two triangles, one facing up and the other down. Dr. Stone said, “As above, so below. What goes on in the earth also goes on in heaven.” Learn to integrate these fields by balancing the highest frequencies of the spine with the slowest frequencies of the colon. This class explores ways for students to incorporate all of the skills and tools they’ve learned and to use the min a polarity session. This is the final classroom experience for students who have completed all of the other RPP classes. Each student gives a session to a client in front of the class and receives feedback from teachers and classmates. It is an empowering experience and a rite of passage into private practice. In this class students explore stretching postures, breathing, and sound as a way of increasing vitality and flexibility and ot balance each of the five elements within the body. Students learn ways of using Dr. Stone’s exercises with their clients to help continue on their own the work that begins during a polarity session. Polarity exercise is easy and fun and can be done by almost anyone regardless of age or physical condition. The spine is the tree of life which rests on the sacrum or “sacred bone.” When the sacrum and spine are aligned the cranium opens like a flower. Learn alignment methods: muscle and vertebrae releases, stretch releases, spinal harmonics, and evaluation skills. Practice energetic clearing of the spinal cord, vertebrae, nerve pathways, and the ultrasonic core. This course is a culmination of Dr. Stone’s techniques and furthering the study of the sacred sacrum.